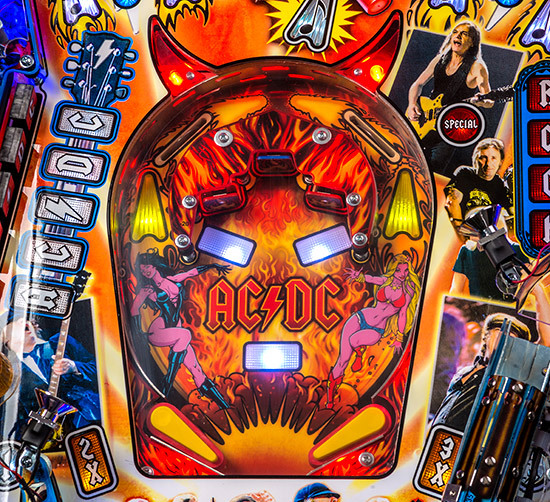 In a surprise move, Stern Pinball today announced the release of a new Premium model of their 2012 title, AC/DC. The new variant is called Luci, which apparently is short for Lucifer. Regardless of whether that makes much sense or not, it features new cabinet and translite artwork, with some additions made to the lower playfield art too. The new cabinet and backbox art is predominantly based around Luci, with the band members reduced to much smaller silhouettes. Redhead Luci is joined by a brunette and blonde on the lower playfield, both in similar shades of purple. Apart from those two changes, the rest of the playfield appears unchanged from the LE and normal Premium models. 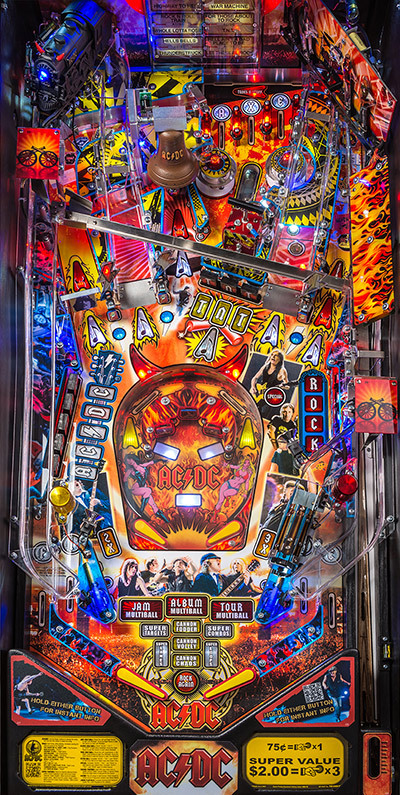 The price of the 'Luci' Premium Edition had been set in the press release shown below at $7,495 but is priced on the Stern Pinball website at $7,699 - the same as the original price of the standard Premium. That model continues to be available, along with the cheaper Pro version. Here's what Stern Pinball had to say about their new 'Luci' model. AC/DC, more than three decades into a career that shows no signs of slowing, like electricity itself, provides the world with an essential source of power and energy. Since forming in 1973, AC/DC's high voltage rock 'n' roll has flowed into the world via consistently sold-out concert tours and global sales totaling more than 200 million albums. Sony BMG Music Entertainment's #1 best selling catalog act worldwide, AC/DC has sold nearly 71 million albums in the U.S. alone, making AC/DC one of the five top-selling bands in American music history. One of the group's best-loved works, the enormously successful and influential "Back In Black," has achieved RIAA "Double Diamond" status, with sales in excess of 22 million copies in the United States. It is the U.S.'s fifth largest-selling album ever. 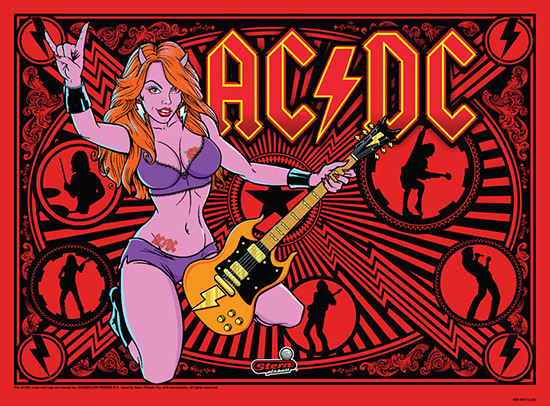 AC/DC’s intense live performances and innovative guitar driven music are at the core of the band’s 30-year legacy of great rock and roll music. 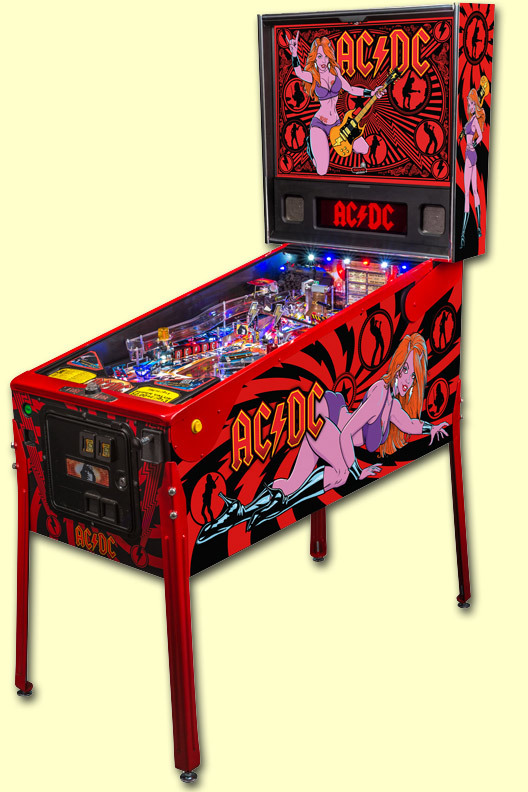 To learn more about the AC/DC pinball machine, “Luci” and Stern Pinball, please visit www.sternpinball.com.